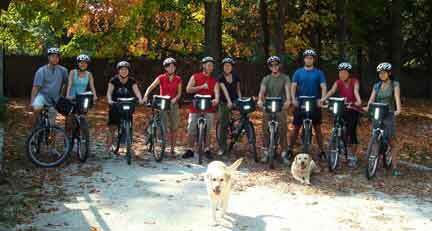 WE DO EVERYTHING BUT PEDAL YOUR BIKE! 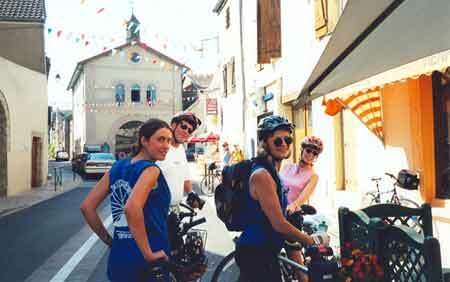 Bicycle rentals & cycling routes for all ability levels. Groups are welcome & group rates are available. BTC is the premier cycling & touring center in the area as featured in Connecticut Magazine, Philadelphia Inquirer, and Cycling USA. 25 years of experience has given us the ability to meet the specific needs of your family, friends, or corporation. 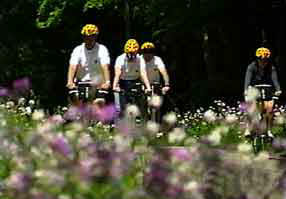 Let us help find the perfect cycling outing for you. Please call for reservations. We are easy to find....just go to our map. 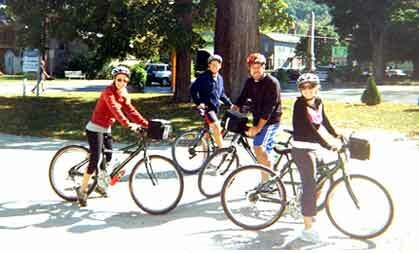 Bicycle delivery also available for the Harlem Valley Rail Trail at the Wassaic Train Station. Take Metro North from Grand Central, New York City. Just wanted to say thank you! The trail was perfect. Everyone had an awesome time! Sal, Thanks for accommodating my request to rent on the Holiday. I appreciated the extra effort on your part in dropping the bikes off on Friday. We had a great ride despite a short shower on the return segment. I had a lot of comments on what a great idea it was to have a ride for folks coming into town for a wedding. Maybe this is a new customer segment for you to consider. Good luck with your business and if you ever need a reference feel free to have people call me. Sal, the guys on Team Eastern Mt Sports told me what a hero you were by saving the day! Not sure if they told you (sure they did) but they still won overall�including over my team by 15 minutes. Thanks so much and I hope the good will + Karma comes back around to you when you need it most! Dear Sal + my 2 lab buddies -I just wanted to send you something to thank you for your time and AWESOME recommendation for a bike trip. Dennis + I took your beautifully crafted map and headed out on Sunday for what turned into one of the nicest rides ever! It was so kind + generous of you to take so much time with us. I hope you like chocolate, dried cranberries + nuts! Please give a cookie to each of your labs - I loved them both! Thanks again! We�ll be sure to look you up if we�re back in town. Sal, great job on Sunday. Thank you for a great service that helped the CT Challenge run very smoothly.